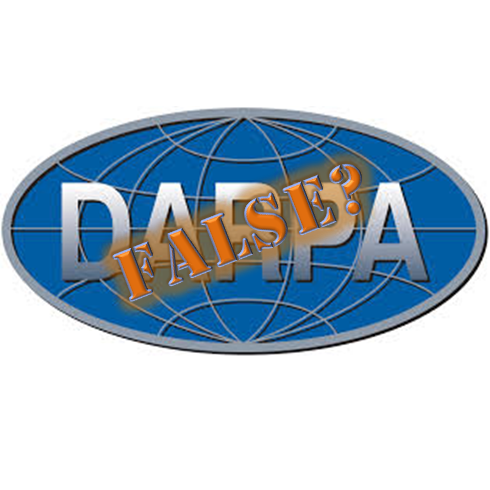 Design-to-Value versus Design-to-Cost versus Minimum Viable Product DARPA false!? 80% of Cost is Not Controlled by Design? This truism applies to project cost as well. Studies show that Construction costs are largely dependent upon what happens in early design, and particularly the interaction of engineering and suppliers. Rich Plumery has a great paper on this coming at the AACE New Orleans conference. I know Mr. Whiteside has published on the correlation of engineering cost and construction costs. People that think they should focus their project control on construction because that is where the money is have it backwards. It depends on your industry. IN AEC, project cost is a huge cost, but in discrete manufacturing it can be de minimus (e.g. 2-5%). Obviously, they watch it (in fact, they obsess on it too much), but it is not driving the bottom line. pays their salaries. Yes that means that that more that usual talent is needed for success to occur. The need for speed in responding to customer requirements is the pain which drives the effort. Too many times there is little if any communication between the design group and the folks in manufacturing. Designers are creators and although the design will perform as it has been said the devil is in the detail; Tolerance, tolerance stack up, vs. form – fit – function. I think a marvelous example of this is Bill Gates and Paul Allen founders of the home grown startup Microsoft. They developed a 64K program called DOS and it would boot up a computer. Today you are lucky if you can get software in a capacity 500mb or much larger. Storage got very cheap so software has gotten sloppy. I assume that “designers” is meant in a broad sense, covering marketing and product development for consumer products, and systems engineers in defence, aerospace and similar industries. In the latter case, I have come to believe that Design to Cost should be a systems engineering responsibility as much of the final cost is driven by the initial requirements even before design begins. Systems engineers are best placed to perform the sensitivity and trade studies needed to develop a set of requirements that allow a cost target to be achieved. Design To Cost (DTC) is a Systems Engineering lead as part of the design team. 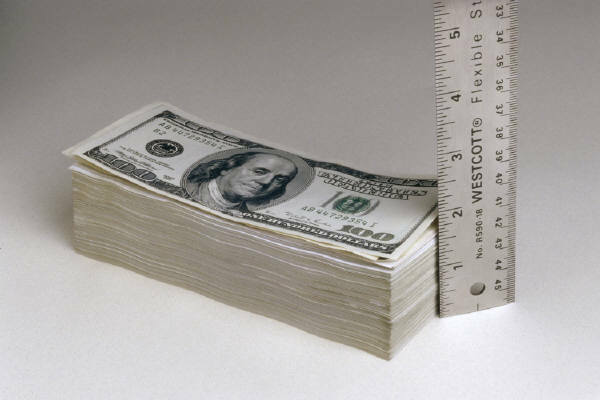 DTC costs should be assigned a percentage of total design estimates and cost targets developed for each functional item and the follow on physical design effort. The DTC budget must be followed from the first conceptual design and architectural assignments to the ongoing product design. It is a team effort and continues far into the product design life cycle. I agree as product cost and how long the product lifecycle is quite important. A well known fact that still isn’t highlighted enough, I think most people involved in product development acknowledge this, and still it’s not highlighted enough. What action do your team take, to control cost? I have used all three methods above over the years. Second (x) is the most time consuming, but also the best method to control cost. Requires a PLM system and discipline to do all the work with CBOM’s and pareto diagrams etc. Sadly, there is rarely enough of the cost experts to go around. Jewel C Cameron MQSi MWOBO. That’s right. Designing is not just to getting geometry of products. It also includes the selection of the manufacturing process. Great article. I can imagine the difficulties of implementing this at a large scale. At a smaller scale company where the manufacture of a product is often either supervised or managed by the designer of that same product I think the ideas in this article is much more intuitive. In my experience with product design, it is a process of balancing priorities. Those priorities can be widely ranging, including cost, simplicity, functionality, performance, and ease of assembly. It makes me appreciate working at a smaller firm where the designer plays an integral role in all aspects of the manufacturing process. Especially when a lot of the designs are prototypes and we have to find a way to produce the design in the most cost and time effective way while still supplying a quality product! Once again, great article. I think it brought up vital considerations in an effort to improve efficiency in the manufacture process, especially with trending improvements in green manufacturing. Thank you for your interest in the article (although, I did not write it, just was quoted in it). I agree that in small companies, people have a greater breadth of responsibility and tend to have to take cost seriously. Good and valid things have been put into the article.In the competitive world,the best and reliable product at reasonable cost will only give it’s value for money.Thorough value engineering should be practised before launch of a product and testing prototype is a good idea before launching a large scale product. This is no doubt a valid topic, but in reality it’s often a double edged sword. I’ve seen many cases where the end product or manufacturing objective suffers because the design process is confined by a fixed price point. While working backwards against the cost restrictions inferior components, processes and weak design fundamentals often undermine the objective itself. To make the statement that Designers need to be responsible for cost is being rather shortsighted when evaluating the total team that contributes to many phases of a new product that result in cost issues. Sure, the designer has a very important role in product development and the components/parts that are designed should be created with the understanding of materials, processes and best manufacturing techniques that meet the requirements of the product specifications. Yes, an experienced designer can anticipate general costing of parts and the associated costs that will show up as another line item like the Tooling required to make the part. I also agree to many statements in the article and fully promote the team efforts in many of the companies to blend personnel into other disciplines—–such as Design Engineers into Sourcing which bridges many gaps to enhance communications with suppliers—–and if used effectively will also drive cost reduction efforts. We must also understand the product cost of scale and/or shedule—-Is your product requirement 10 units or 10 million ? Is it a 3 month or 3 year schedule to ship ? Does your product have any New Technologies that are not matured and are only offered by few suppliers ? Are certain materials specified that are Long Lead items and/or only supplied by companies that have poor ratings ? My point is that there are numerous key elements that drive cost—–So why put the cost burden ONLY on the Designer !! Yes, however in the Heavy Engineering industry certainly the cost or methods of fabrication and construction are not taken into account. Totally agree. When I was designing, at an extremely early stage it was important that we had done sufficient homework to arrive at a cost range within which we can work with. Pretty important to work with Supply Chain, procurement and Brand building from the beginning to keep the design cost effective. Thank you for the interest. This is not my article (I was interviewed for it). If you are interested in Product Cost Management, you may enjoy also perusing my blog. http://www.productprofitandrisk.com/ Most of my articles focus on product cost. Good points, well made. As is often the case, success comes where investment is made in technical skills, tools (software) and building relationships – without these you hit serious pain. I know books are a bit last century, but “Proactive Purchasing in the Supply Chain” (Burt, Petcavage & Pinkerton) is a good starting point for Procurement view.